We’d love your help. Let us know what’s wrong with this preview of Song of Atlantis by Brian Power. A shocking discovery leads one scientist down a dangerous path in Brian Power's compelling debut novel, Song of Atlantis. When Amon Goro, master architect of Atlantis, discovers a way to harness the earth's forces into an infinite source of clean energy, it seems destined to change civilization as we know it. 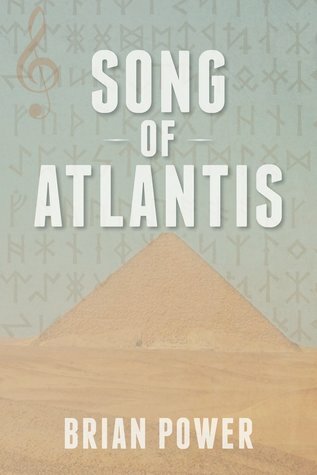 But 4,500 years later, Atlantis exploration team leader Palen Gole A shocking discovery leads one scientist down a dangerous path in Brian Power's compelling debut novel, Song of Atlantis. But 4,500 years later, Atlantis exploration team leader Palen Golendar is brutally captured by a Native American tribe in modern-day South Dakota-derailing any hope Atlantis held of utilizing its energy secrets. Eight thousand years in the future, Native American anthropologist Gordon Tallbear and his team of highly skilled researchers stumble across a connection between the recent discovery of Golendar's remains and an intricate cavern system deep in the mountains of Antarctica...a connection that finally reveals the Atlantean secret of perpetual energy. While Tallbear and his team plan to recreate the energy source that will change the world, a wealthy group with deep ties to carbon-based fuel producers decides this newfound energy source must be destroyed-and they will stop at nothing to assassinate the researchers in order to bury what they know. To ask other readers questions about Song of Atlantis, please sign up.